Music is magic. Whether I'm playing at a religious retreat or in a smoky bar, at a joyful wedding or in a bittersweet funeral service, I experience something deeply spiritual when I have the opportunity to connect with people through melody and harmony. If you think my music may be a good fit for your event, just drop me a line with a few details and I'd be happy to talk with you about it! "Carrie brought such an amazing special touch to our wedding. 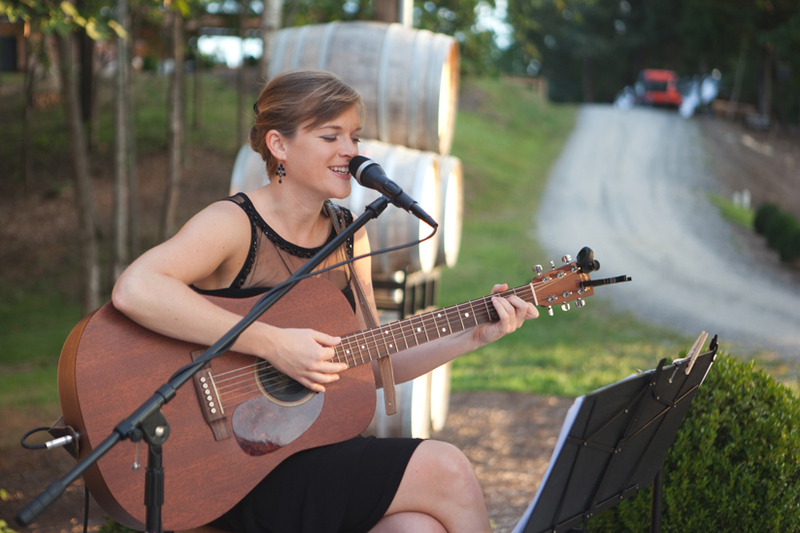 Music is really important to us and we wanted to incorporate live music into both our ceremony and reception. We found Carrie through Joey at Medaloni Cellars and we are so thankful we did! Carrie worked with us from the beginning to craft a perfect playlist. She offered to learn some of our favorite songs including XO by Beyonce which is not an easy request. Carrie was so relaxed and easy to work with that it put our minds at ease about the music. She arrived early to set up and was completely self sufficient.